Upwelling zones, which receive infusions of nutrients from deep ocean waters, support some of the most pro ductive marine ecosystems. However, anthropogenic eutrophication of estuaries and coastal zones has been a growing problem since the latter half of the twentieth century. The main drivers for this have been the increas ing proportion of the population moving to the coastal zones, an increase in the burning of fossil fuels, the increase in the use of synthetic fertilizers and the increase in consumption of animal protein, due to the intensive rearing of poultry and pork. Other contributing factors have been the draining of wetlands and the clear ing of riparian vegetation. The result of these human activities has been a very large increase of the inputs of certain plant nutrients, particularly nitrogen and phos phorus, into aquatic ecosystems. Whereas phosphorus is often the limiting nutrient in freshwater systems, nitrogen is most often the naturally limiting nutrient in estuarine and coastal systems. Within the estuarine to coastal continuum, multiple nutrient limitations occur among nitrogen, phosphorus, and silica along the salinity gradi ent and by season. Nutrients are essential for the algal production that supports food webs. However, there are thresholds where the load of nutrients to estuarine, coastal, and marine systems exceeds the capacity for assimilation of nutrient enhanced production, and water quality degra dation occurs. An imbalance of N and P in combination with silica leads to shifts in phytoplankton community composition. Impacts can include noxious and toxic algal blooms, increased turbidity with a subsequent loss of submerged aquatic vegetation, oxygen defi ciency, disruption of ecosystem functioning, loss of habitat, loss of biodiversity, shifts in food webs, and loss of harvestable fisheries. Rivers play a crucial role in the delivery of nutrients to the ocean. In the subbasins to the North Atlantic Ocean, specifically in the Baltic catchments, and in the watershed of the Mississippi River, inputs of anthropo genic nitrogen via rivers far exceed other sources of nitrogen input - atmospheric deposition, coastal point sources, and nitrogen fixation. Phosphorus loads, likewise, come mostly from rivers. Direct atmospheric deposition of nitrogen and phosphorus on estuaries and coastal waters may contribute as little as 1% to as much as 30-40% of the total load. The relative sources of nitrogen and phosphorus loads to the coastal ocean correspond to the degree of various anthropogenic activities in the watershed. The susceptibility of estuaries and coastal waters to eutrophication is largely controlled by the physics of these systems such as the geomorphology, the tidal range, the residence time and flushing rates, and the engineering of river mouths or inlets. Partially enclosed systems with restricted exchange, for example, lagoons, fjords and large estuaries, such as the Chesapeake Bay, are particularly vulnerable. This is also the case for inland seas, such as the Baltic, the Black, and the Adriatic. Some of the symptoms of eutrophication in estuaries may be partially alleviated by ecological engi neering measures such as building of treatment ponds, dredging, creating man made mouths, and wetland restoration and creation. Several indices are under development or being tested for the evaluation of eutrophication by ecological engineers. They are important management tools and, combined with scenarios of different future outlooks, may be used as future prediction tools. A widely used screening model is the USA National Estuarine Eutrophication Assessment that has been updated into the ASSETS model. 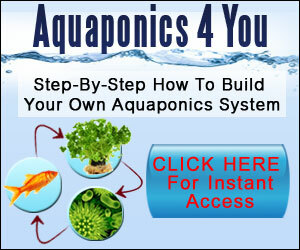 It has been applied in most of the USA estuaries, and several European and Chinese systems. Another screening model in widespread use in Europe is the OSPAR Comprehensive Procedure. Some options for the effective control of point sources of nutrients are available to ecological engineers. These include the construction of urban wastewater treatment plants or the upgrading of existing plants to tertiary treat ment. However, the outlook is much bleaker for the control of diffuse sources such as agricultural runoff and atmo spheric deposition. The harmonization of presently conflicting policies such as agricultural subsidies (that encourage the excessive use of fertilizers) and environmen tal policies such as the Clean Water Act (USA) and the Water Framework Directive (EU) may in future help resolve some of these issues. Certainly, changes in the socioeconomic situation of countries and regions can have an effect on eutrophication. The collapse of collective farming practices after the breakup of the Soviet Union was one example of how a change in agriculture can relieve the pressures on coastal ecosystems, in this case the Black Sea. However, changes in life styles in European countries as a result of admission to the European Union have resulted in an increase in the per capita consumption of animal pro tein, and this has increased the nitrogen input into the aquatic systems. Similar increases in animal protein con sumption are presently occurring throughout Southeast Asia as a result of booming economies. Aquaculture is another human activity that can both be affected by eutrophication and can also impact eutrophi cation. The deterioration of water quality resulting from eutrophication can have serious repercussions on the aquaculture industry. However, the excessive feeding of fish in cage aquaculture can also contribute to the increase in nitrogen inputs into aquatic ecosystems. Conversely, the culture of filter feeding bivalves may significantly graze algal blooms resulting from the over stimulation of phytoplankton production. An apparently contradictory situation of high nitrogen-low chlorophyll may develop in such cases. Conversely, the destruction by over harvesting of natural filter bivalve beds may favor eutrophication. Such is the case of the Chesapeake Bay where the loss of the oyster grounds probably con tributed to the vulnerability of this large estuary to eutrophication. Poly culture practices in Chinese bays effectively use macro algae to mop up some of the excessive nutrients as well as bivalves and abalone as grazers. These can help control the effects of eutrophication, although the aqua cultures are still vulnerable to the occurrence of harmful algal blooms.